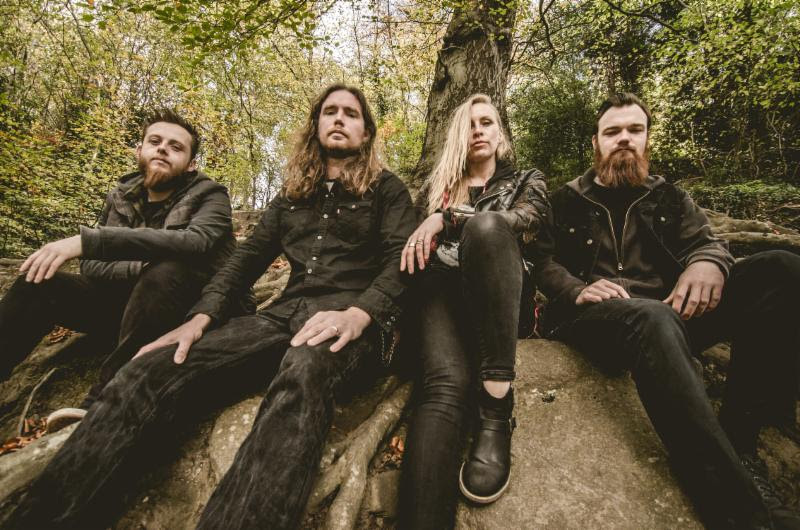 The smoking debut full-length, Under The Mountain, from Scotland-based doom metal faction KING WITCH is set for release in North America on March 16th via Listenable Records. 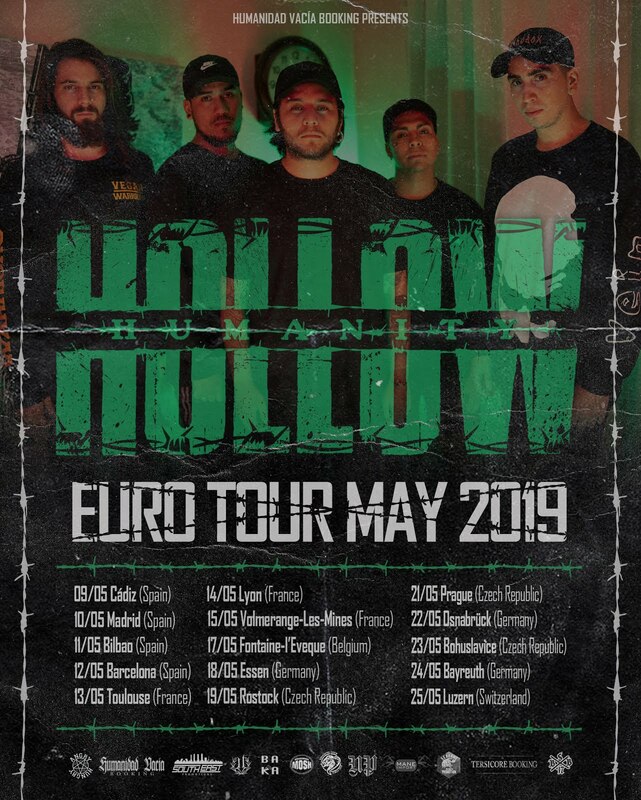 Unleashed last week in Europe, the record is as melodic as it is monolithic, taking its listener on a journey from soulful doom to full-tilt metal mayhem. Under The Mountain was recorded and produced by guitarist Jamie Gilchrist at their underground studio in their home city of Edinburgh, mixed and mastered by Tom Dring at Vagrant Recordings (Dragged Into Sunlight, Acolyte) in Southport and comes swathed in artwork created by vocalist Laura Donnelly. The record serves as KING WITCH's follow-up to their debut EP, Shoulders Of Giants. Influenced by everything from Black Sabbath and Led Zeppelin to Mastodon and High On Fire, Under The Mountain boasts nine riff-laden tracks offset by Donnelly's powerful yet bewitching vocals. In a recent review of Under The Mountain, Nine Circle gushes, "KING WITCH have crafted a stellar debut that hits numerous emotional notes, rips like crazy, and remembers the golden rule of always being in service to the song." Angry Metal Guy hails a record, "highly recommended for fans of classic doom." Of Donnelly's vocals, Team Rock boasts, "Laura's breathtaking, husky pipes convey equal measures of wisdom, heartache, scorn and fury, though the music mostly contents itself with the latter; aside from the creepy-crawly true doom of 'Approaching The End' and 'Ancients'' acoustic jangle, satisfyingly brute-force whirlwind tempos dominate." Grizzly Butts concurs calling Under The Mountain, "a modern day classic and a muddy brick to the face of anyone not-so-sold on the power of female vocalists in heavy metal." The Obelisk writes, "Individual tracks present different vibes, whether that's the rolling undulations and progressive forward drive of third cut 'Solitary' or the thrashier thrust of the later 'Possession,' but especially with a foundation of hooks like those of 'Carnal Sacrifice' and the near-seven-minute centerpiece 'Approaching The End,' which recalls finer moments of post-Ozzy-era Black Sabbath in its sense of class and stage-presence-in-the-studio spirit. Under The Mountain is unafraid either to blaze ahead at top speed directly in the face of the listener or to stand back and manifest its ideas with a precision bordering on the graceful." Adds Dead Rhetoric, "We could use more acts like KING WITCH stirring that doom/classic heavy metal pot as they clearly possess all the requisite tools and songwriting ability to gain a following like Grand Magus on slightly more of classic '70s/'80s slant. Revel in the despair, as you'll come out better for it in the end." KING WITCH's Under The Mountain is streaming in full at the official Listenable Records Bandcamp page at THIS LOCATION. Order Under The Mountain today at THIS LOCATION. Formed in early 2015 in a dark cavern beneath the streets of old Edinburgh, KING WITCH manifests a potent and heavy brew of old school metal and the meatiest of '70s classic rock. In a time where many seek to stick rigidly within the confines of their chosen genre, KING WITCH simply writes the songs they want to play.